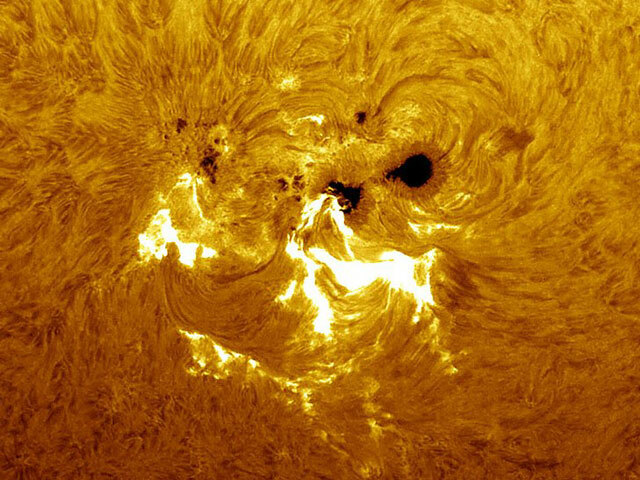 Explanation: An unexpectedly large sunspot region is now crossing the Sun. 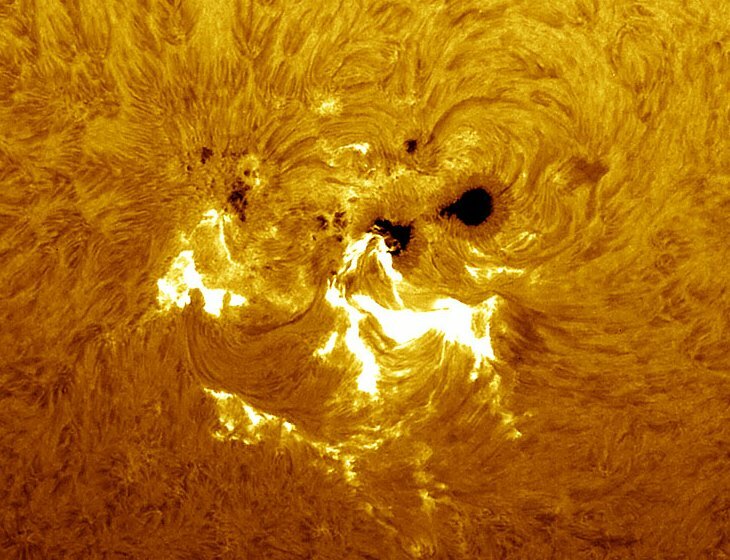 The active region is home to rivers of hot plasma, explosive flares, strong magnetic fields, a powerful Coronal Mass Ejection (CME), and a sunspot group so large it can be seen by the protected eye without magnification. In fact, this region appears larger than Venus did when it crossed the Sun last month. Pictured above is a close-up of this sunspot group, officially tagged AR 10652, taken just four days ago. The region is now nearing the Sun's eastern limb and will disappear from view in a few days. Energetic ions from sunspot group 652 continue to impact the Earth and create rare purple auroras.